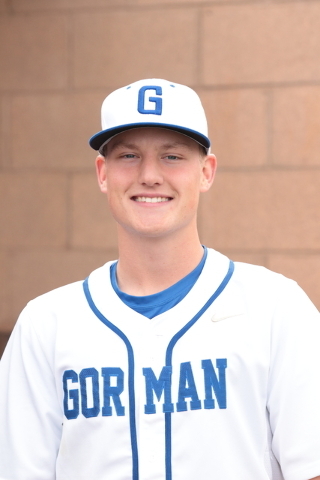 P Jack Little, Bishop Gorman: The senior right-hander was 5-1 with a 1.85 ERA and 53 strikeouts and four walks in 34 innings. A second-team Division I All-Southern Nevada pick, he has signed with Stanford. 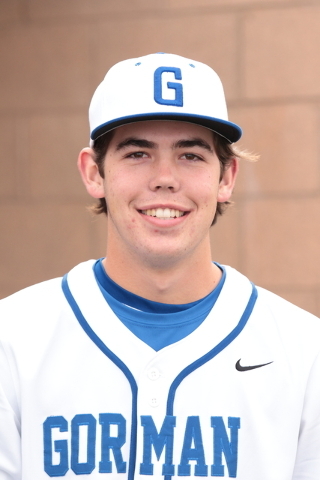 P Matt Mitchell, Bishop Gorman: The junior lefty was 6-1 with a 0.74 ERA and 51 strikeouts in 47 innings. Made the Division I All-Southern Nevada first team. 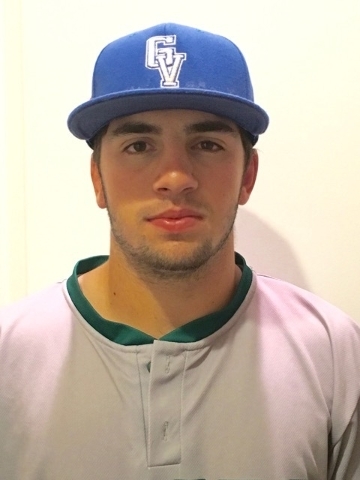 P Nick Rupp, Spring Valley: The junior left-hander was 8-1 with a 0.63 ERA and 98 strikeouts in 55⅓ innings. Made the Division I-A All-Southern Nevada first team. Has committed to UNLV. 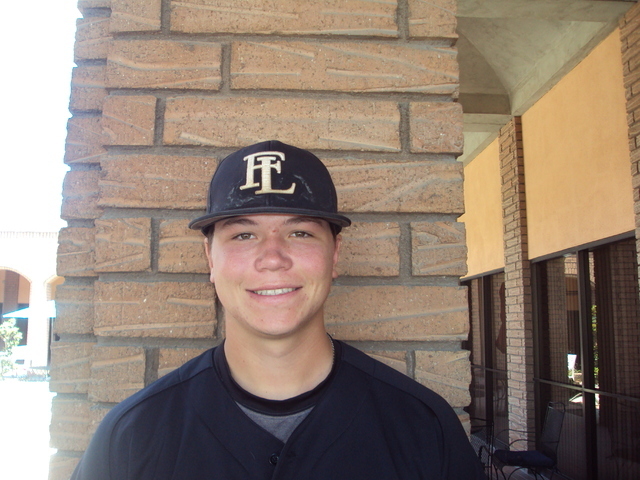 P Zack Trageton, Faith Lutheran: The senior right-hander was the Division I-A Sunset League Most Valuable Player. Went 6-1 with a 1.71 ERA and 76 strikeouts in 49 innings. 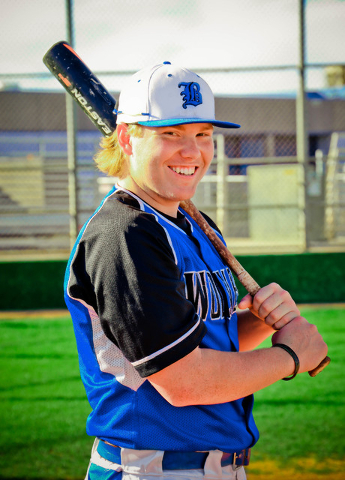 Made the I-A All-Southern Nevada team at first base afte batting .444 with 10 doubles and 32 RBIs. Has signed with Utah. 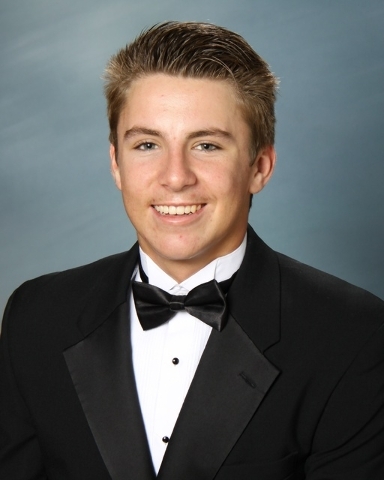 C Zach Barnhart, Rancho: The senior batted .467 with a homer and 30 RBIs. Was a first-team Division I All-Southern Nevada pick. Has signed with UNLV. 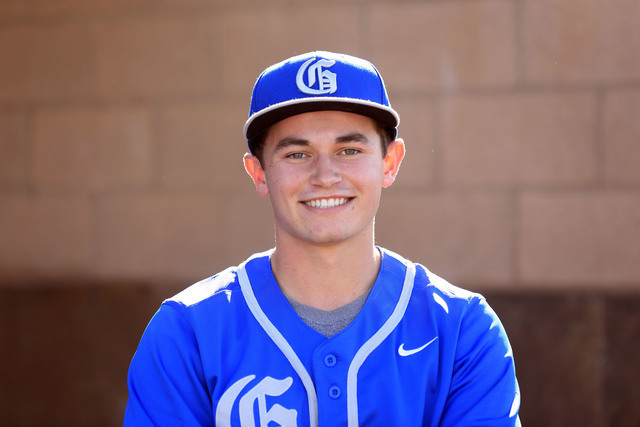 IF Beau Capanna, Bishop Gorman: The senior shortstop made the Division I All-Southern Nevada first team. Batted .391 with 11 doubles, eight homers and 33 RBIs from the leadoff spot. Scored 37 runs. Signed with New Mexico. 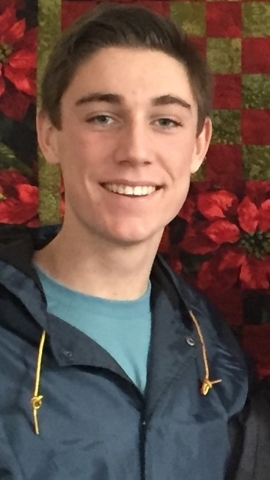 IF Tom Lichty, Galena: The junior second baseman batted .424 with five homers, seven doubles and 34 RBIs to help the Grizzlies to the state tournament. Didn’t commit an error in earning first-team All-Northern Region honors. 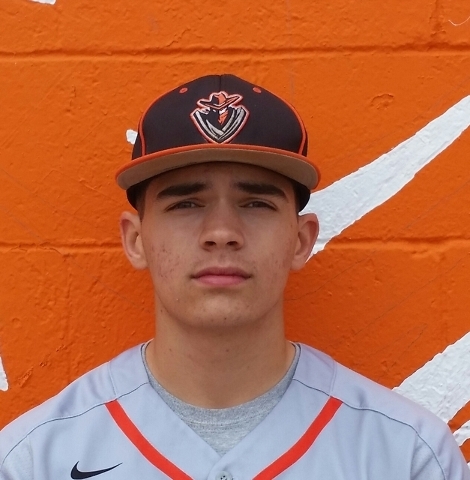 IF Nick Quintana, Arbor View: The senior shortstop made the Division I All-Southern Nevada first team. Batted .449 with nine doubles, three triples, 15 homers and 58 RBIs. Drew 24 walks. Has signed with Arizona. 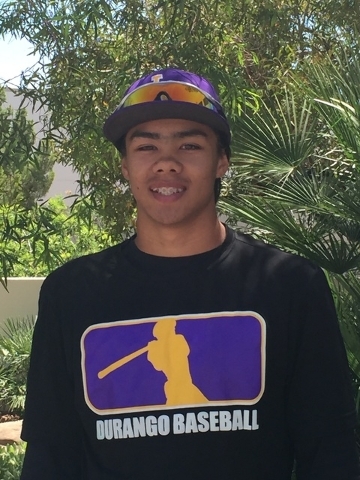 IF Bryson Stott, Desert Oasis: The senior shortstop hit .410 with 17 doubles, two triples, three homers and 29 RBIs for the Diamonbacks. Named Sunset Region Player of the Year. Has signed with UNLV. 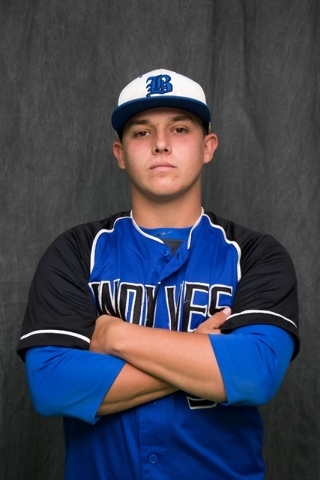 IF Jack Wold, Basic: The junior first baseman batted .446 with 16 doubles, five homers and 45 RBIs to help the Wolves to their first state title since 1987. Made the Division I All-Southern Nevada first team. OF Sami Baig, Galena: The senior center fielder was the Northern Region’s Offensive Player of the year. 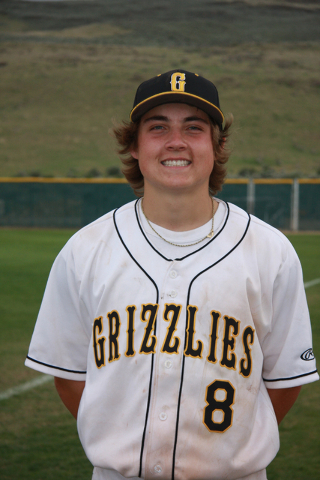 Batted .404 with two homers, five doubles, five triples and 23 RBIs in helping the Grizzlies to the state tournament. He scored 42 runs and stole 23 bases. 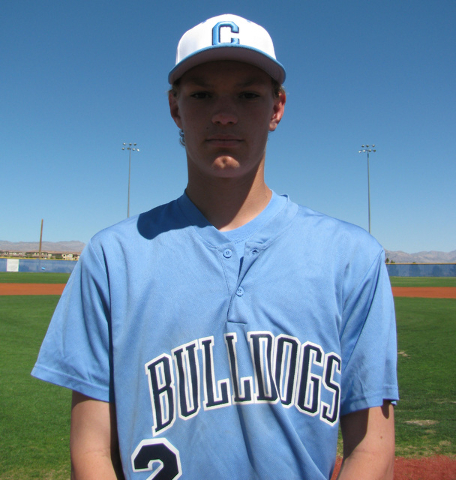 OF Kyle Horton, Centennial: The junior left fielder hit .405 with 11 doubles, three triples, eight homers and 42 RBIs to help the Bulldogs to a Division I state runner-up finish. Also went 4-2 with a 2.68 ERA. 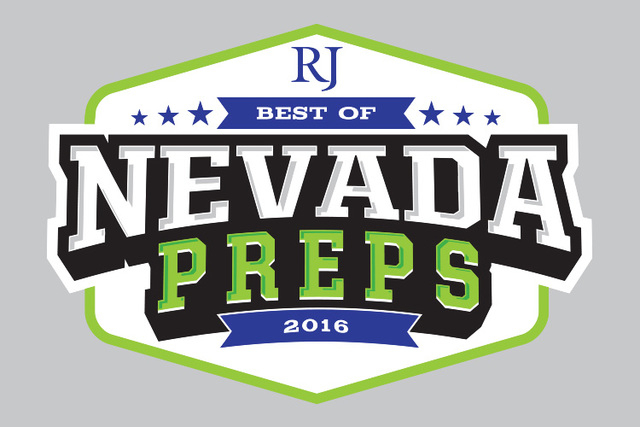 A first-team Division I All-Southern Nevada pick. 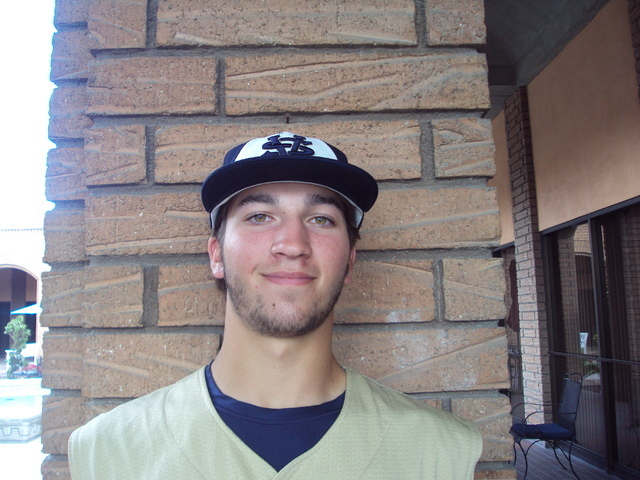 UT Austin Beard, Reed: The senior was the Northern Region Player of the Year. Batted .427 with 10 doubles, six homers and 26 RBs Posted a league-best .814 slugging percentage in league games. On the mound went 5-3 with a 3.32 ERA and 30 strikeouts in 38 innings. 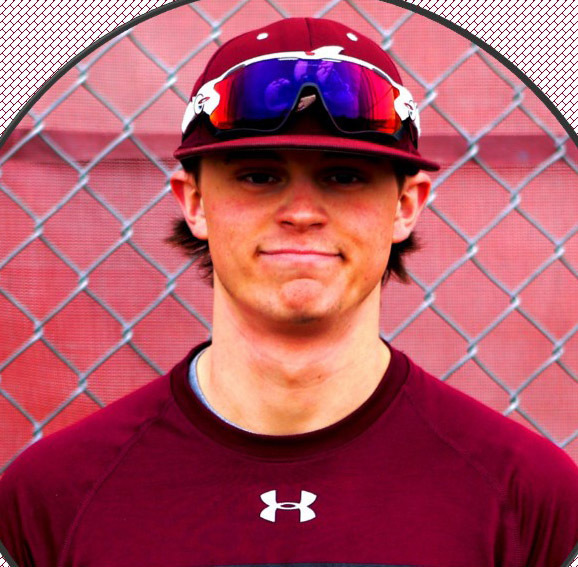 UT Ryne Nelson, Basic: The senior shortstop/pitcher hit .415 with 12 doubles, a homer and 20 RBIs. Scored 47 runs and made the Division I All-Southern Nevada second team as an infielder. Went 7-2 with a 1.91 ERA and 57 strikeouts in 51⅓ innings. Has committed to Oregon. P Trever Berg, Basic: The senior right-hander was 6-1 with two saves and a 1.02 ERA, and picked up the win in the Division I state title game. Struck out 36 in 55 innings. Has signed with Colorado Northwestern College. 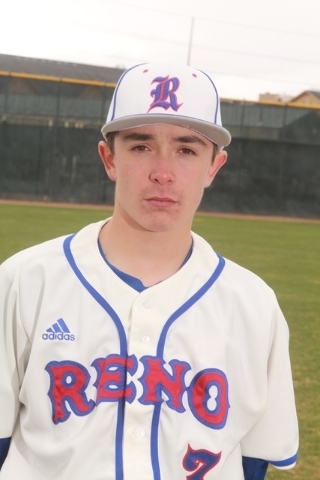 P Christian Chamberlain, Reno: The junior lefty was 6-1 with a 1.31 ERA, making the All-Northern REgion first team. Struck out 87 in 64 innings, and opponents hit .160 against him. P C.J. 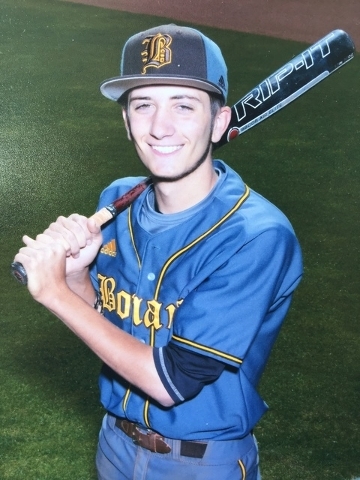 Dornak, Basic: The sophomore right-hander allowed only three runs — two earned — in 43⅔ innings. Went 8-0 with three saves and a 0.32 ERA. Struck out 28 with five walks. A first-team Division I All-Southern Nevada pick. 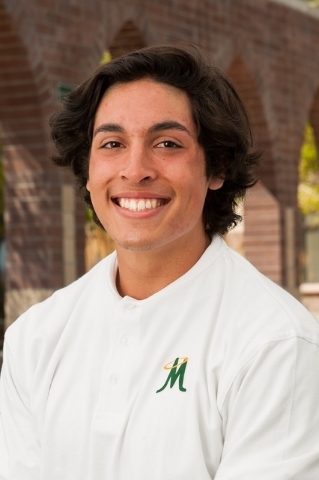 P Michael Davis, Bishop Manogue: The junior went 8-1 with a 1.81 ERA and 60 strikeouts in 54 innings in earning first-team All-Northern Region honors. Threw five complete games, including two shutouts. 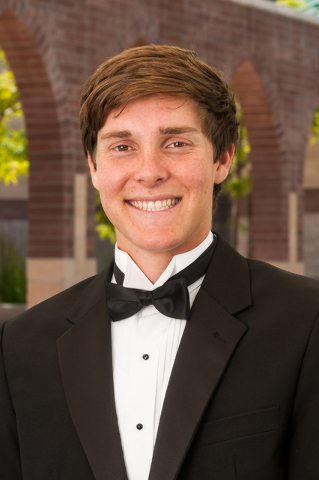 P Mark O’Connor, Chaparral: The senior left-hander was 8-0 with a 0.44 ERA and 95 strikeouts in 47 innings for the Cowboys. Made the Division I-A All-Southern Nevada first team. 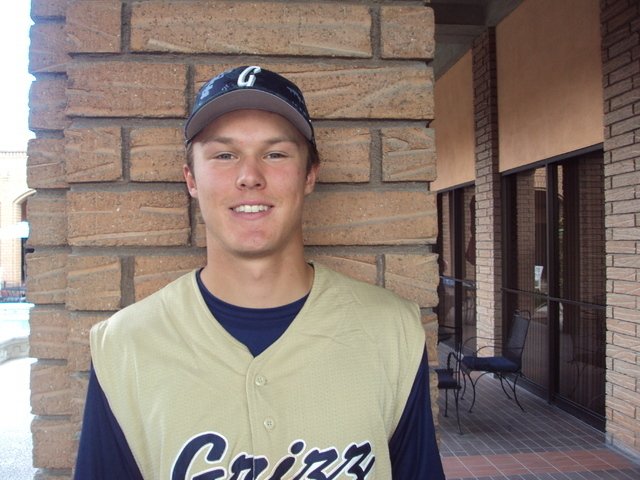 C Josh Prizina, Spanish Springs: The junior was a first-team All-Northern Region pick. Batted .433 with eight doubles, five homers and an .806 slugging percentage in league play. IF A.J. 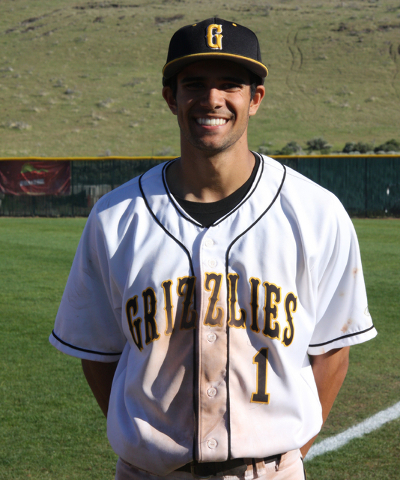 Amelburu, Green Valley: The junior shortstop hit .418 with five doubles, two triples and 20 RBIs. Stole 30 bases and scored 30 runs. Made the Division I All-Southern Nevada first team. 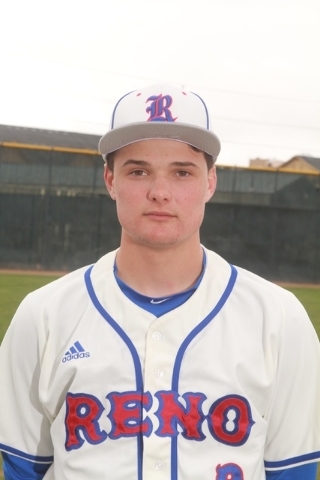 IF Conor Allard, Reno: The senior was a first-team All-Northern Region pick as a utility player. Batted .408 with three homers and 31 RBIs in leading the Huskies to the state tournament. Has committed to UNR. IF Bryce Bullock, Spring Valley: The junior shortstop batted .490 with 14 doubles, six triples, six homers and 43 RBIs for the Grizzlies. Made the Division I-A All-Southern Nevada first team. IF Duke Pahukoa, Durango: The sophomore shortstop was a first-team Division I All-Southern Nevada pick. Batted .457 with seven doubles, a homer and 17 RBIs. Stole eight bases. 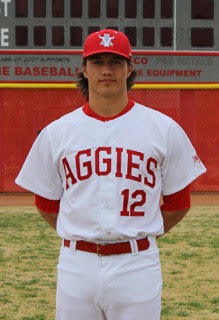 IF Kyle Whitted, Elko: The senior second baseman was the Division I-A Northern League Most Valuable Player. Batted .594 with 15 doubles, eight homers and 52 RBIs. 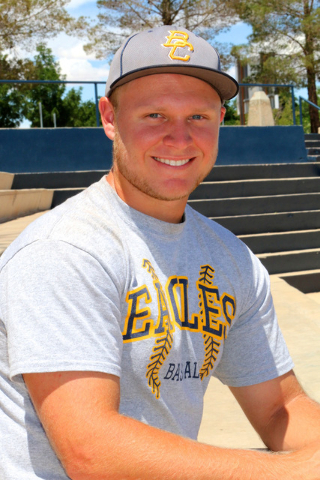 OF Torren Brozovich, Bonanza: The junior center fielder hit .412 with 11 doubles, two triples, a homer and 22 RBIs. Made the Division I All-Southern Nevada first team. 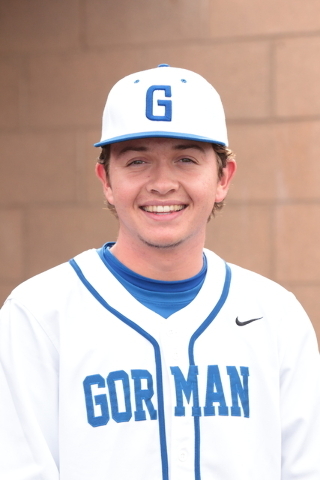 OF Myles Denson, Bishop Gorman: The senior right fielder led the Gaels with a .495 average. Had 12 doubles, one homer and 20 RBIs in earning first-team All-Southern Nevada Honors. Signed with Arizona State. 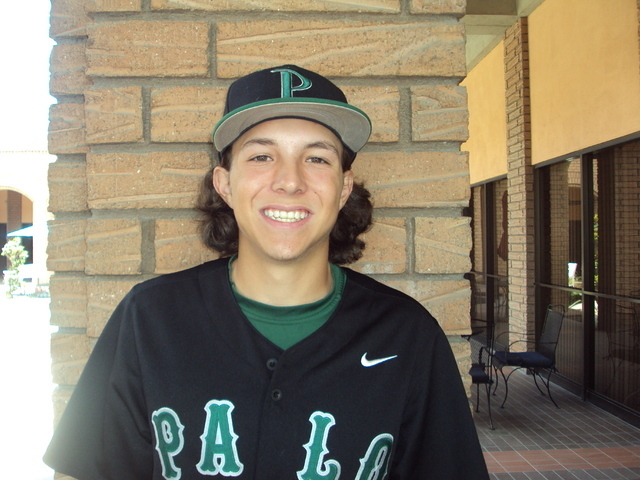 OF Cobi Fiechtner, Palo Verde: The senior right fielder hit .414 with eight doubles, two triples, three homers and 30 RBIs for the Panthers. Made the Division I All-Southern Nevada first team. 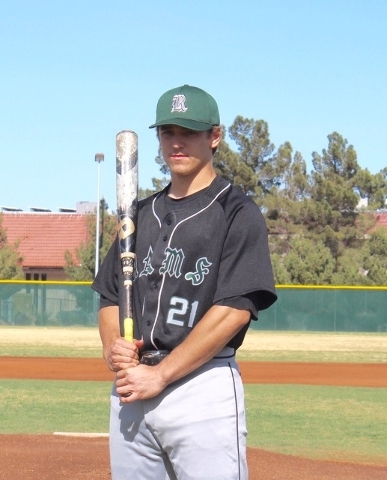 UT Shane Andrews, Bishop Manogue: The senior made the Northern Region first team at designated hitter. Batted .425 with five doubles, 21 runs and a .523 on base percentage. 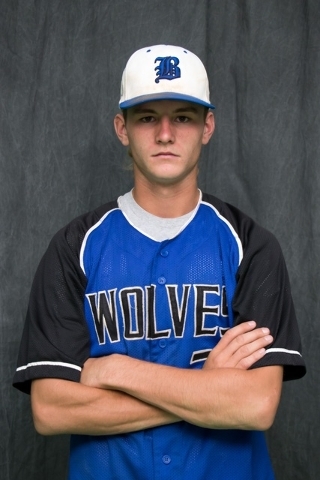 UT Jared Kiessling, Galena: The senior pitcher/third baseman was 7-0 with a 2.42 ERA and 53 strikeouts in 52 innings. Also batted .379 with 14 doubles, six homers and 32 RBIs. 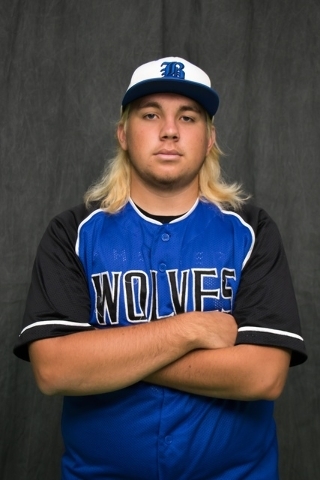 Was a first-team All-Northern Region pick as a pitcher. 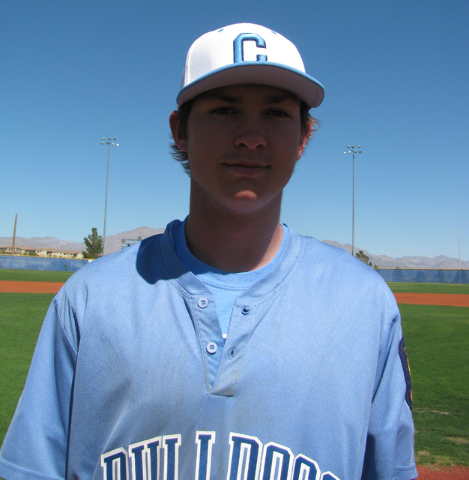 UT Hayden Rosenkrantz, Centennial: The junior pitcher/shortstop was 7-2 with a 3.13 ERA and 71 strikeouts in 69⅓ innings. Made the Division I All-Southern Nevada first team as a pitcher. Also batted .402 with six doubles, five triples and 22 RBIs. 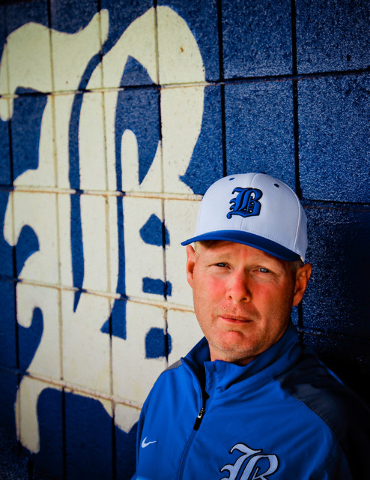 Scott Baker, Basic: The fifth-year coach guided his alma mater to its first state baseball title since 1987. The Wolves finished 36-4 and ranked No. 6 in the nation by Baseball America. 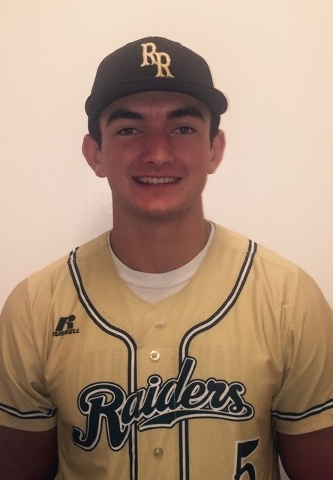 The senior struck out 68 in 44⅔ innings in league play, with five wins and a 1.10 ERA.H e was the Northern Region Pitcher of the Year and has signed with UNR. The senior was 5-1 with a 1.85 ERA and 53 strikeouts and four walks in 34 innings. A second-team Division I All-Southern Nevada pick, he has signed with Stanford. The junior was 6-1 with a 0.74 ERA and 51 strikeouts in 47 innings. Made the Division I All-Southern Nevada first team. The junior was 8-1 with a 0.63 ERA and 98 strikeouts in 55⅓ innings. Made the Division I-A All-Southern Nevada first team. Has committed to UNLV. The senior was the Division I-A Sunset League Most Valuable Player. Went 6-1 with a 1.71 ERA and 76 strikeouts in 49 innings. Also hit .444 with 32 RBIs. The senior batted .467 with a homer and 30 RBIs. Was a first-team Division I All-Southern Nevada pick. Has signed with UNLV. The senior made the Division I All-Southern Nevada first team. Batted .391 with 11 doubles, eight homers and 33 RBI and 37 runs. Signed with New Mexico. The junior batted .424 with five homers, seven doubles and 34 RBIs. Didn’t commit an error in earning first-team All-Northern Region honors. The senior shortstop made the Division I All-Southern Nevada first team. Batted .449 with nine doubles, three triples, 15 homers and 58 RBIs. Has signed with Arizona. The senior hit .410 with 17 doubles, two triples, three homers and 29 RBIs. Named Sunset Region Player of the Year. Has signed with UNLV. The junior batted .446 with 16 doubles, five homers and 45 RBIs for the Division I state champs. Made the All-Southern Nevada first team. The senior was the Northern Region’s Offensive Player of the year. Batted .404 with two homers, five doubles, five triples, 23 RBIs, 42 runs and 23 stolen bases. The junior hit .405 with 11 doubles, three triples, eight homers and 42. Also went 4-2 with a 2.68 ERA. A first-team Division I All-Southern Nevada pick. The senior was the Division I-A All-Southern Nevada MVP. Batted .492 with 11 doubles, three homers and 40 RBI. Went 8-1 with a 2.96 ERA and 71 strikeouts in 52 innings. The senior was the Northern Region Player of the Year. Batted .427 with 10 doubles, six homers and 26 RBs Went 5-3 with a 3.32 ERA and 30 strikeouts in 38 innings. The senior was the Division I Southern Nevada Player of the Year. Went 6-1 with a 1.73 ERA and 57 strikeouts in 52 ⅔ innings. Hit .378 with five homers and 36 RBIs. The senior hit .415 with 12 doubles and 20 RBIs and 47 runs. Went 7-2 with a 1.91 ERA and 57 strikeouts in 51⅓ innings. Has committed to Oregon. The senior was 6-1 with two saves and a 1.02 ERA, and picked up the win in the Division I state title game. Struck out 36 in 55 innings. The junior was 6-1 with a 1.31 ERA, making the All-Northern Region first team. Struck out 87 in 64 innings, and opponents hit .160 against him. The sophomore allowed only three runs — two earned — in 43⅔ innings. Went 8-0 with three saves and a 0.32 ERA. Struck out 28 with five walks. The junior went 8-1 with a 1.81 ERA and 60 strikeouts in 54 innings in earning first-team All-Northern Region honors. Threw two shutouts. The senior was 8-0 with a 0.44 ERA and 95 strikeouts in 47 innings. Made the Division I-A All-Southern Nevada first team. The junior was a first-team All-Northern Region pick. Batted .433 with eight doubles, five homers and an .806 slugging percentage in league play. The junior shortstop hit .418 with five doubles, two triples and 20 RBIs. Stole 30 bases and scored 30 runs. Made the Division I All-Southern Nevada first team. The senior was a first-team All-Northern Region pick as a utility player. Batted .408 with three homers and 31 RBIs. Has committed to UNR. 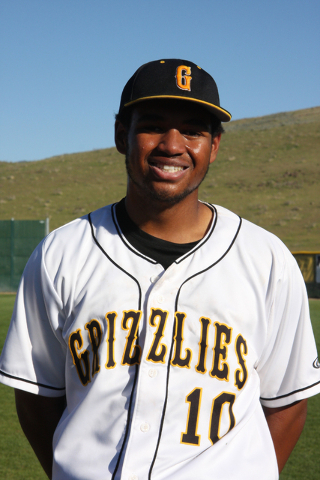 The junior batted .490 with 14 doubles, six triples, six homers and 43 RBIs for the Grizzlies. Made the Division I-A All-Southern Nevada first team. The sophomore was a first-team Division I All-Southern Nevada pick. Batted .457 with seven doubles, a homer and 17 RBIs. Stole eight bases. The senior was the Division I-A Northern League Most Valuable Player. Batted .594 with 15 doubles, eight homers and 52 RBIs. The junior hit .412 with 11 doubles, two triples, a homer and 22 RBIs. Made the Division I All-Southern Nevada first team. The senior right fielder led the Gaels with a .495 average. Had 12 doubles, one homer and 20 RBIs in earning first-team All-Southern Nevada Honors. Signed with Arizona State. The senior right fielder hit .414 with eight doubles, two triples, three homers and 30 RBIs for the Panthers. Made the Division I All-Southern Nevada first team. The senior made the Northern Region first team at designated hitter. Batted .425 with five doubles, 21 runs and a .523 on base percentage. The senior pitcher/third baseman was 7-0 with a 2.42 ERA and 53 strikeouts in 52 innings. Hit .379 with 14 doubles, six homers and 32 RBIs. The junior pitcher/shortstop was 7-2 with a 3.13 ERA and 71 strikeouts in 69⅓ innings. Hit .402 with six doubles, five triples and 22 RBIs. The fifth-year coach guided his alma mater to its first state baseball title since 1987. The Wolves finished 36-4 and ranked No. 6 in the nation by Baseball America.